The Avenues Conservation Area between Cliftonville and Adelaide Crescent on the Hove seafront was built following the creation of a master plan in 1871. It didn’t quite work out as planned. It was the prominent architect Sir James Knowles whose vision for the area included a series of boulevards with tall yellow-brick houses. It was to be very different to Cliftonville to the west and Adelaide Crescent to the east. 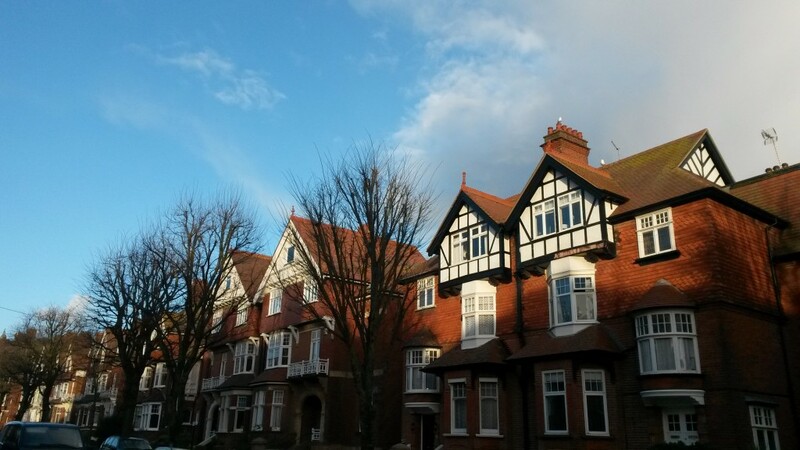 Estate agents of today call the area ‘The Avenues’ but it began as the West Brighton Estate despite being in Hove. It was in 1871 that the Stanford Estate Act was passed which allowed Ellen Stanford, not long after her 21st birthday, to sell off valuable land on which the West Brighton Estate was to be built which she had inherited some years previously. First and Second Avenues, along with Queen’s Gardens and the east side of Grand Avenue were developed rapidly using the yellow brick that Knowles specified. Terraces and detached houses are typical for these streets. What is now King’s House (between Grand and Second) actually began as seven houses. Kingsway Court (between Second and First) was built on the site of a building that looked just like King’s House which was demolished after being struck by a bomb during the Second World War. Similar structures to King’s House were planned for King’s Gardens, on the other side of Grand Avenue, but tastes were changing. Nos 8-15 King’s Gardens were built with the yellow brick of the 1870s but, by the 1880s, not only had the preferred colour of brick changed, but the type of house too. What should have been 1-7 King’s Gardens was actually built as 1-4 (with a little No. 5 behind) – five red-brick detached houses instead of a terrace of seven – hence the missing numbers. Third and Fourth Avenues were built principally during the 1880s and 1890s and feature large semi-detached red-brick mansions with wooden balconies and prominent gables. Construction continued into the 1920s. Most interesting of all is Grand Avenue for it was developed late – from 1914 in fact – and then redeveloped during the 1960s. As the east side includes several large yellow-brick mansions, it is easy to assume that similar buildings were demolished on the west side to make way for the tower-blocks. An attractive mix of various styles were knocked down in fact – some of which weren’t even 40 years old. 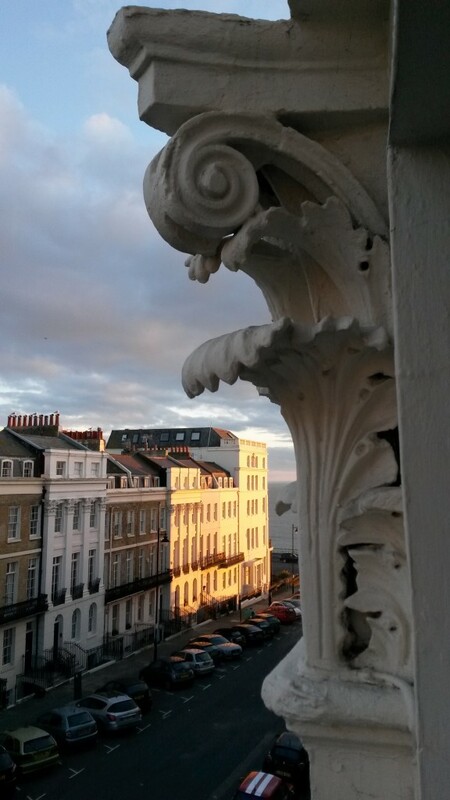 I wrote in a column nearly one year ago to this day just how rare it is to find a whole Regency townhouse for sale in Kemp Town. The piece was on 2 Portland Place. No. 11, on the St George’s Road corner, is now for sale with Bonett’s. I’ve been intrigued by 11 Portland Place for some time due to its distinctive tiled north side facing St George’s Road. As the street is missing numbers 12, 13 and 14, I assumed that at least one building to the north of No. 11 had been removed, perhaps due to a Second World War bomb or for road-widening. I thought that the tiles had been added to make good exposed brickwork. Although I can’t explain the tiles, I can certainly explain the missing numbers. 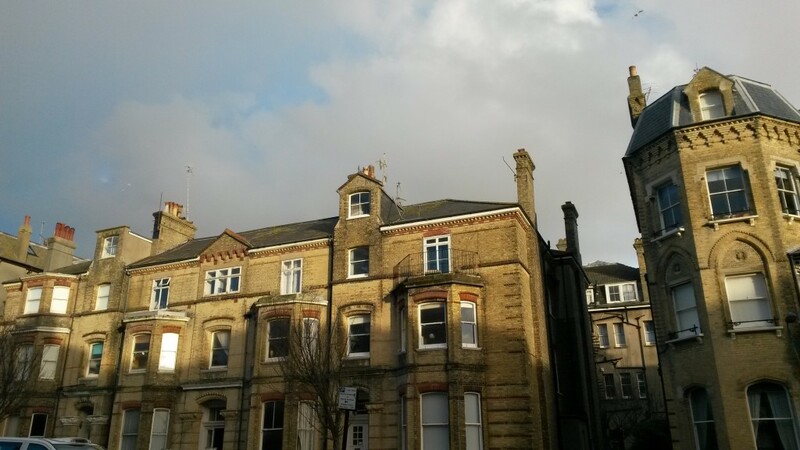 They once belonged to three grand houses that faced down the street which were combined and later acquired by St Dunstan’s Institute for the Blind as a convalescent home. In its current rebuilt unrecognisable form, it is now owned by the NHS and the old door numbers have been dropped. Portland Place, which is Grade II listed, was built from 1824 to the designs of Charles Augustin Busby. All of the houses have five storeys except No. 11, the first to be occupied, which has four. Some have Corinthian pilasters. 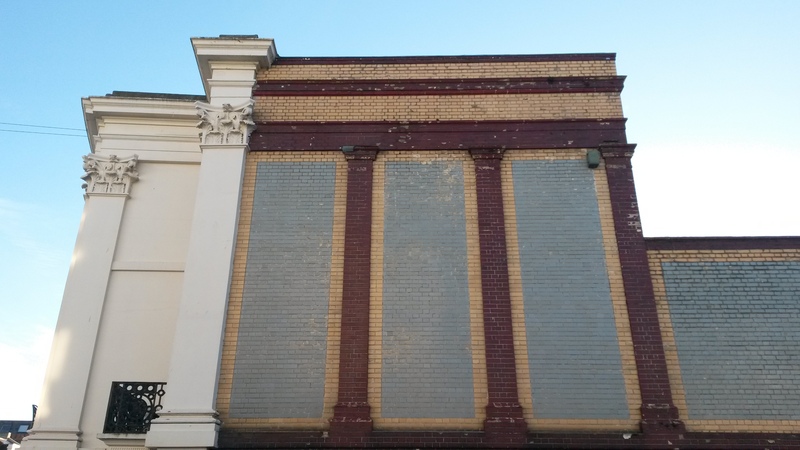 Yellow brickwork is common on the street and is no doubt buried under paint on the front of No. 11. The facades of all of the houses have three bays yet No. 11’s northernmost bay has been dramatically set back from the other two. Ron and Joan Bodenham kindly showed me around their lovely home which has been in the family for over 60 years. Joan’s parents actually bought the house for £1,000 in 1950 after her father returned from the war. Her grandparents later moved into the basement. It wasn’t until 1989 that Ron and Joan arrived. In total, five generations of the family have now enjoyed the property. The interior features incredibly high ceilings, marble fireplaces and views towards the sea and St George’s Church (by Busby and Amon Wilds). Although the house has been divided up a bit, it certainly has not been mangled. Everything is still there. The rooms are the right shapes and the staircase is intact. Thankfully, the banisters are still in place which Joan remembers sliding down as a child.